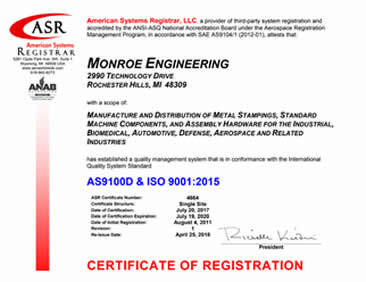 Monroe is the piano hinge (continuous hinge) specialist. We have a large selection of standard piano hinges and can manufacture any variety of specialty piano hinges to suit your needs. If piano hinges are what you are looking for, Monroe can supply your business. With short lead times and strong instock position, we're on it. All of our steel piano hinges (except stop hinges) open a full 270°.